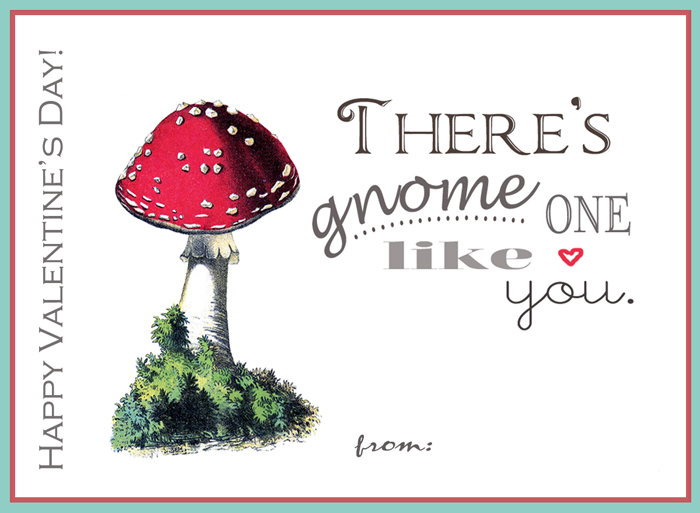 So, it is officially February! 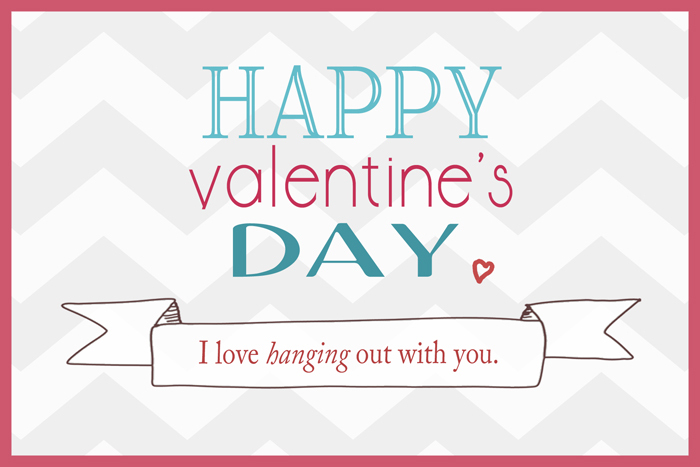 In honor, and to help you out (because I know I can always use extra help), I thought I would gather up some of the valentine cards the kids and I have put together over the years. 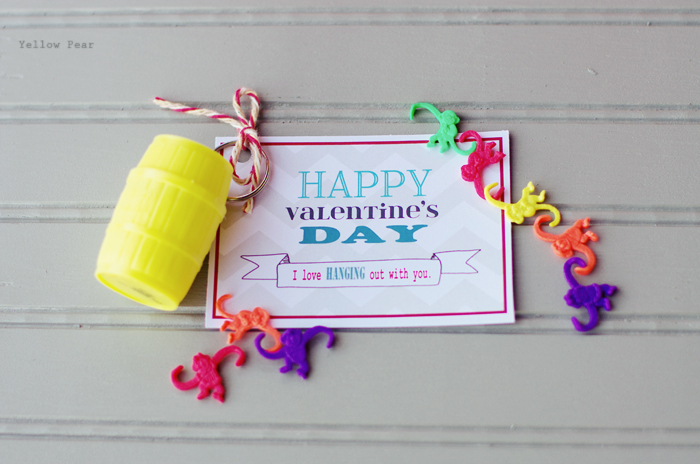 I do so love Valentine's Day and so I have attached some free printables that you are welcome to use for your own personal use. Just download and print at your local office supply store on some nice cardstock, then cut and assemble. You will find the download links at the bottom. 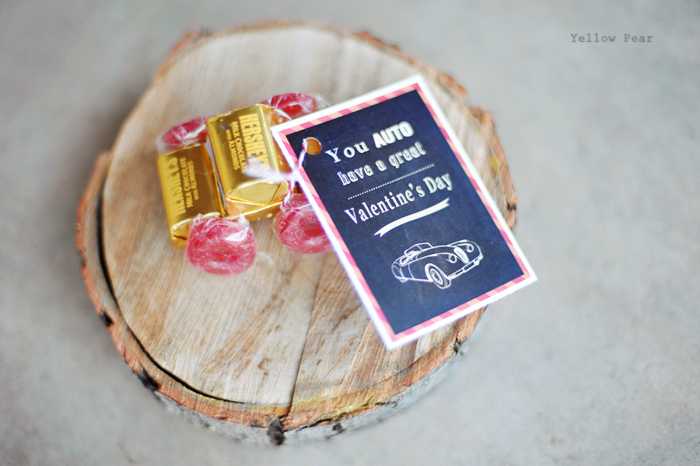 First up is a car themed card for all of those automobile lovers out there. 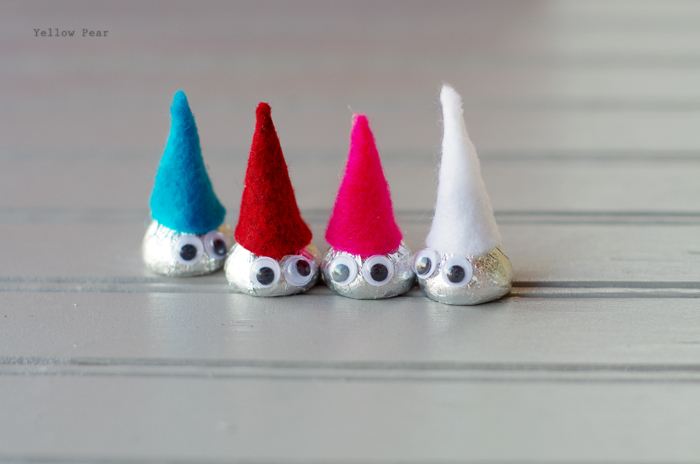 We used them for Dennis last year. He helped me make candy cars for everyone in his class (it was admittedly a bit crazy to make that many, but they turned out so well...it was worth it) and then he attached every single card by himself. 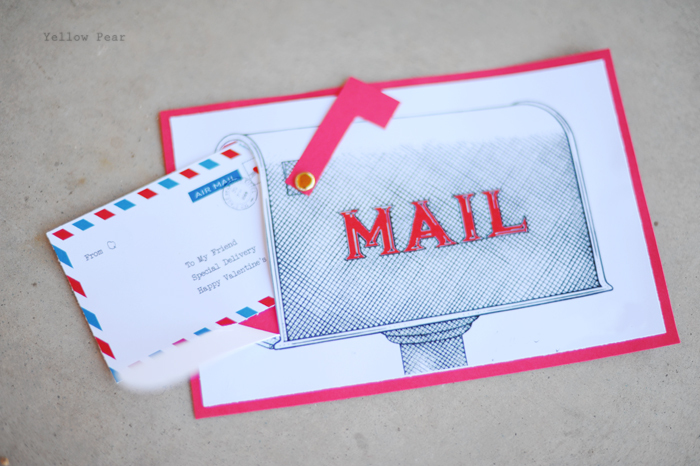 Q was really into mailboxes and letters last year (still is really) and so I envisioned a working paper mailbox with an old-fashioned type postcard that fit inside. 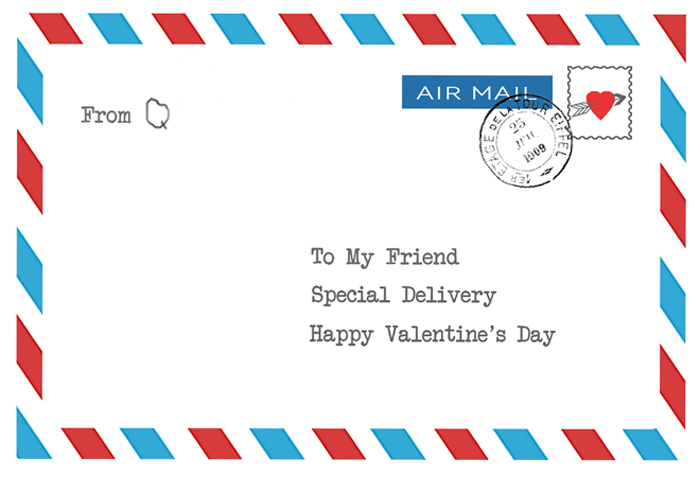 Luckily Martha already had one made for me, so I just created the postcard and Q filled in his name and drew a personalized work of art on the back and we slipped them inside the mailboxes. I was able to make the mailbox for Q only because he was in a playgroup and so we didn't have to make many at all. Two years ago, Dennis was all about robots. 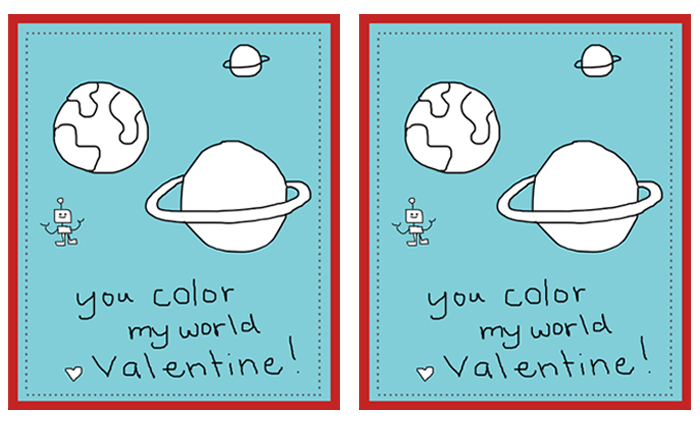 He drew a digital robot and planets and I used them to make a color-able card (Dennis is the most involved in the making and design of his cards each year). 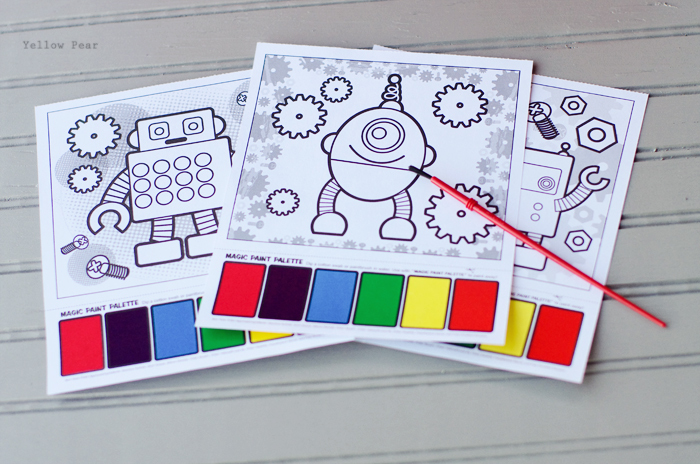 I purchased a robot coloring pad complete with watercolors at Michaels and we rolled up one sheet for each kid and added a paintbrush. 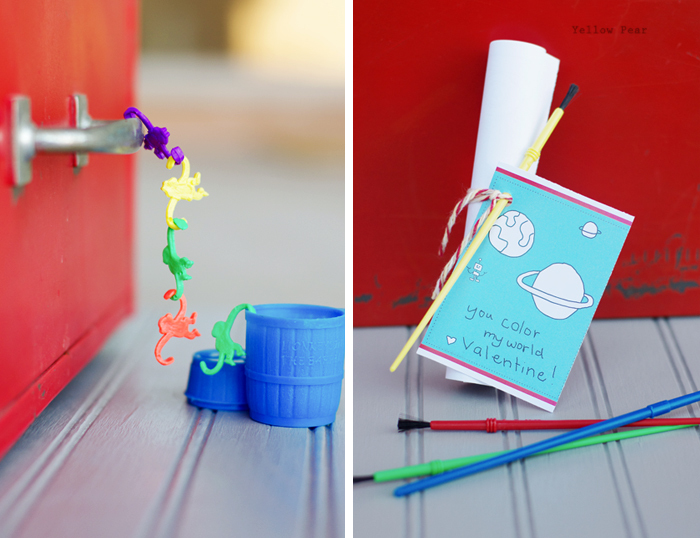 You could also use crayons or a set of paints. Miss B loves miniature things (just like her mother) and when we found a tiny Barrel of Monkeys at a party store, we knew we had to use them somehow. And because she was getting older, we had to create a very plain card dealing with "hanging out". She loved it and so did her friends. I reworked the text a tiny bit this year and added a heart. 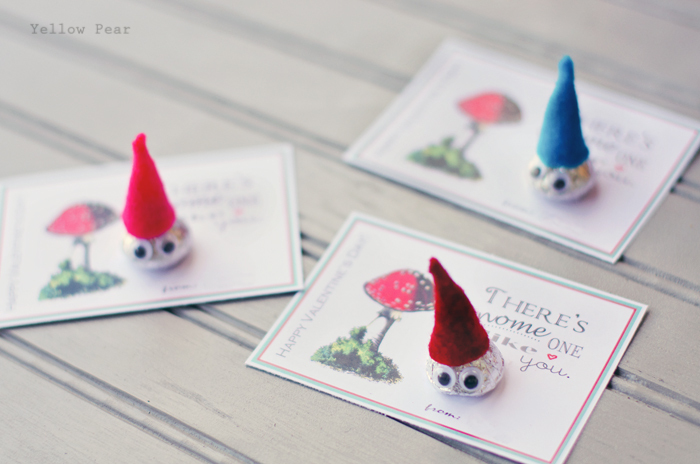 The gnome card was created for Q because Miss B found some Hershey Kiss gnomes here and begged me to make them. I therefore created one of my all time favorite cards to go with it. :) It seriously makes me happy every time I look at it. 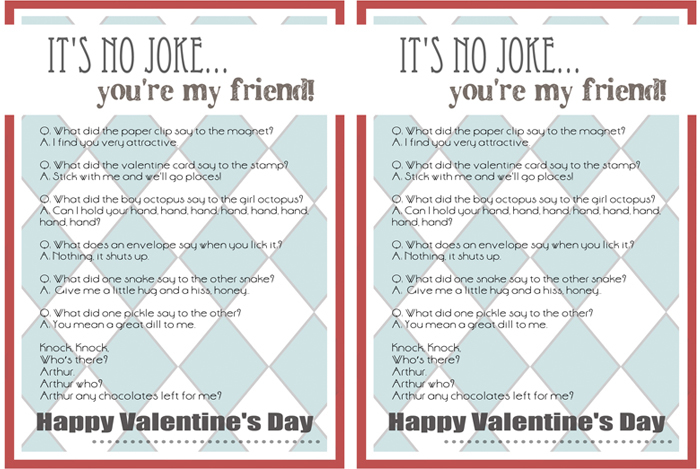 Mr. C came up with the idea for a joke valentine all on his own. I was super impressed. It was perfect for him as it's neither too girly nor too young. 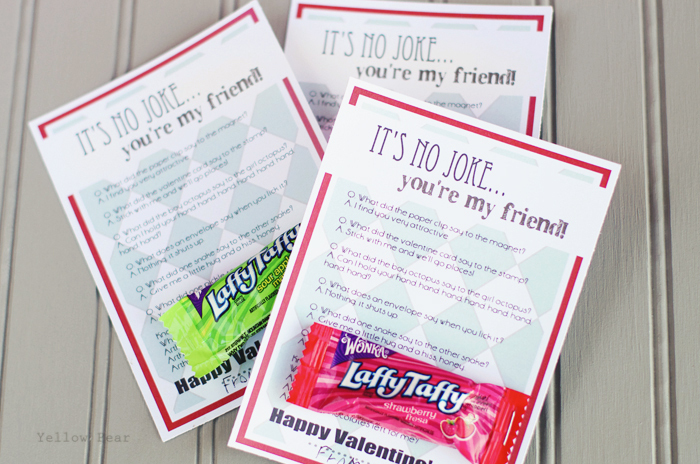 And they were super easy...all we did was print them out and staple a Laffy Taffy to the bottom.. Mr. C even helped me come up with the jokes. Good luck and Happy February! Love these! Thank you and thank you again. 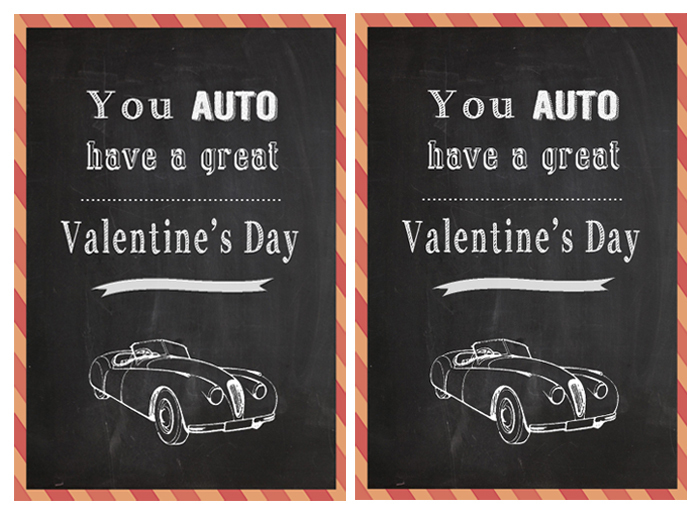 Calvin will be sending out a few "auto" valentines for sure! You're amazing! Wish I woulda seen this sooner!